Christmas has been and gone. The New Year is nearly upon us, and there is little evidence that flying cars, hoverboards and self-tying laces will be the in-thing for 2015. 3D printing is doing the rounds, though, and it's getting more and more accessible to us mere mortals. 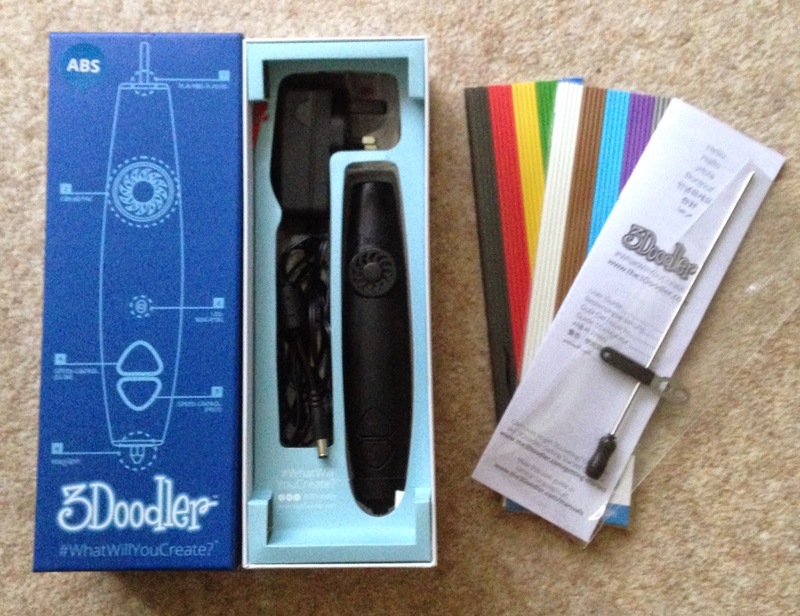 One of my Christmas gifts this year was a 3Doodler from my parents. At its simplest, this former kickstarter is a freehand 3D printer in a pen. At its most complicated, it's a freehand 3D printer in a pen. There may some shades of grey in-between. Inside, you get the pen, the power supply, instructions, cleaning tools, and 2 packs of multi-coloured ABS sticks. 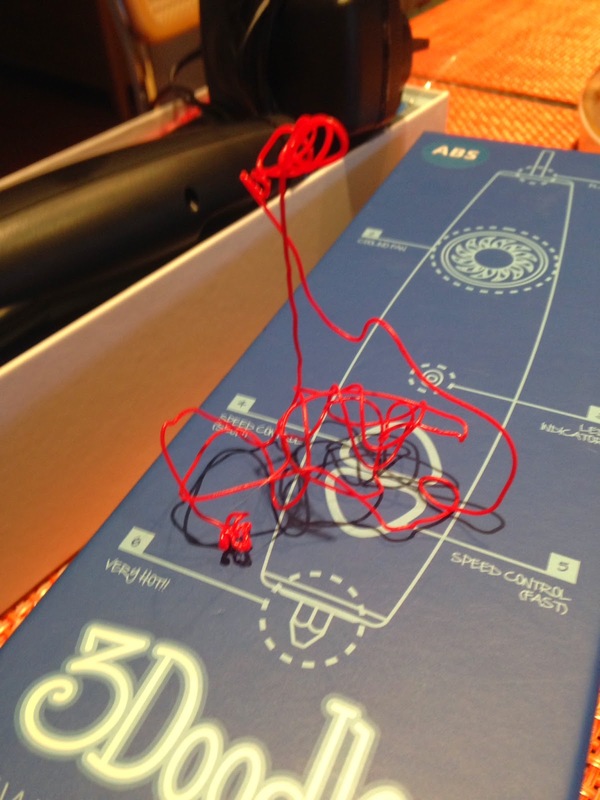 The 3Doodler can handle ABS plastic, and bog-standard plastic (PLA). Refills are available online for $9.99 per pack (plus shipping from the states) - I'm yet to find an affordable supplier in the UK. It's quite simple to get started. Cleaning the nozzle looks tricky, but if you ever get it wrong there's plenty of helpful resource on YouTube so you can carry on throwing shapes. In theory, the stuff you print is pretty durable. The first mess I created was picked up, thrown around, scrunched and dropped several times before anything snapped off it. I can see loads of hobby potential for this tool - I don't see myself making any Eiffel Tower models, cars or company logos, but I can envisage plenty of greebly details on vehicles and dioramas - maybe even something that's mould-worthy that I could cast resin copies from. Who knows? Not me, that's for sure - I have a long way to go before I master this thing!